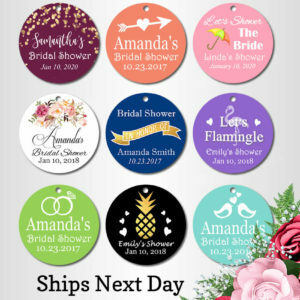 Our collection is so diverse, you’ll find your personalized baby shower favor tags that will match your ideas for your shower and be cherished by your guests for years to come. After planning the perfect shower, don’t forget about the guests that come together to celebrate your big day. 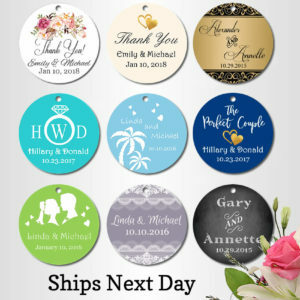 Show your friends and guests how much you appreciate them with wedding thank you tags from BestPriceFavors.com. 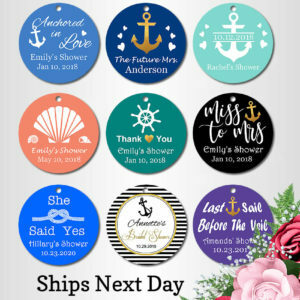 From personalized candy jar favors, unique favors to our collection of thank you tags for wedding favors are so diverse, you’ll find wedding favor stickers that will match your Ideas. You are sure to find your matching favor here. Our came to define a sense of composure and style. 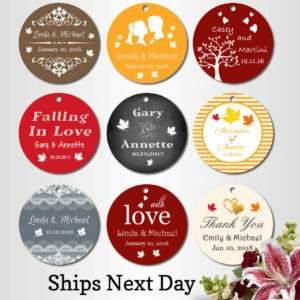 It’s this quality that makes our products one of the personalized wedding favor tags you can buy. 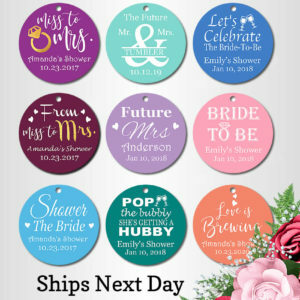 Contact us if you need help with ordering your wedding favor tags, thank you tags, personalised wedding stickers labels, wedding tags.